Fitzgerald’s Fine Catering employs a team of professional Connecticut Wedding Bartenders, which have many years of experience serving beverages for parties. Each of our bartenders are certified in the state of Connecticut and professionally trained to administer of alcohol for your wedding party. Our bartenders are very experienced at controlling the amount of alcohol, which is consumed by each of your guests and are able to circumvent over-serving your guests, which can possibly lead to problems such as sickness and liability issues. Knowledgeable About Mixing Drinks: Our bartenders posses the mixology skills that allow them to not only know how the make the most typical drinks, but can also create the more difficult unique drinks as well. They will also offer recommendations if a guest seems to be indecisive. Strong Customer Service Skills: Our bartenders possess very strong customer service skills. They will almost always have a smile on their face and are constantly attentive and very personable with guests. They possess a professional appearance with friendly personalities that allow them to connect with your guests. Sustains a High Level of Cleanliness: We understand the importance of cleanliness and maintaining a well kept and organized bar. Pouring drinks that are clean and sanitary are of utmost importance. Possess a Strong Memory: Through the years of experience, our bartenders understand the importance of remembering your guests names and drink preferences. They have are knowledgeable of numerous types of drinks and extensive details of wine, beer, and liquor memorized. The Ability to Serve Responsibly: Our bartenders understand when your guests are on the brink of having too much to drink, and will gauge the amount of alcohol consumed by your guests throughout the evening. They also will check IDs to be certain that no under-age guests will be consuming any alcoholic beverages during your party. At Fitzgerald’s Fine Catering, we understand that being a great bartender does not just involve simply knowing how to create a great tasting cocktail and possess knowledge of wine and beer. 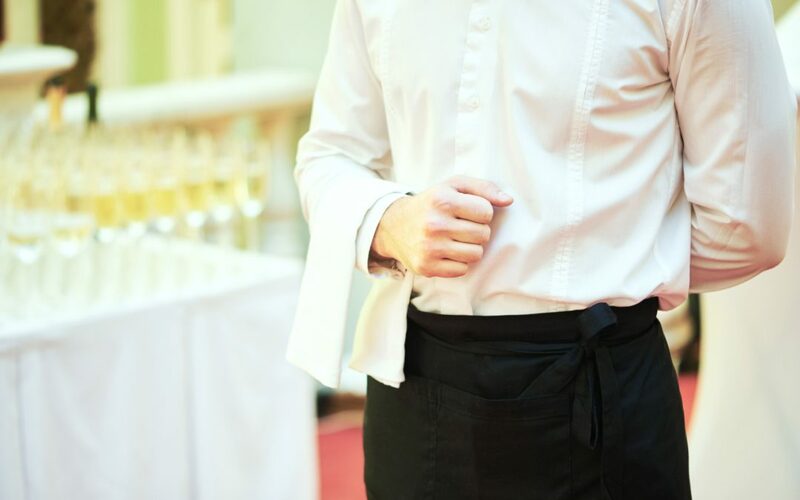 We understand that the importance of providing a great bar service for your Connecticut wedding or party involves providing excellent customer service and possessing a positive attitude. Contact us today to schedule your no-cost consultation.